Tires help to keep you safe, and if tires are defective because of a manufacturing or design flaw, they put vehicle occupants and others at risk for serious injury. The accidents can be catastrophic and lead to permanent injury or death of a person. While tire manufacturers have a duty to provide safe and hazard-free tires to the consumer, sometimes tire companies fail to do so. Dunlop, owned by Goodyear Tire and Rubber Company, has been the subject of various lawsuits related to defective tires. If harmed, you may file a Dunlop tire manufacturer lawsuit to recover compensation for the damages you suffered as a result of the accident. Dunlop has recalled various tires because of safety concerns and complaints. There have been numerous recalls for Dunlop tires over the last few decades. The recalls have involved numerous lines of Dunlop tires, and have been issued for various reasons. For example, in 1983, certain Dunlop tires were subject to a recall because of incorrect information listed for ply rating and load range. Labeling wasn’t the worst of the recall issues, though; in November of 2007, Dunlop tires were again the subject of a recall for potential tread separation, as well as a lack of compliance with high-speed safety request standards established by the U.S. Department of Transportation. Tread separation can be particularly dangerous, and can lead to tire blowouts and be the cause of rollovers and other types of deadly accidents. 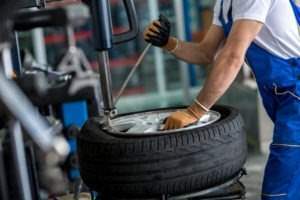 Because of the number of defective tires subject to recalls over the years, there have been multiple Dunlop tire manufacturer lawsuits filed by injured parties and their families. Discuss your own eligibility to file a claim or lawsuit with an attorney familiar with product liability law, specifically as it pertains to defective tires. In 1999, parties reached a $4.9 million settlement for a man who suffered brain damage from a car accident. The case involved Sumitomo Rubber Industries Ltd. and Dunlop Tire Corp., which distributed the tire. The tire involved in the accident had tread wear sufficient enough to be considered under the tire company’s warranty. In August 2009,a mother filed a product liability lawsuit against Goodyear Tire and Rubber Co. and Dunlop Ltd. claiming that a Dunlop tire was responsible for a crash that also injured five others. The plaintiffs claimed that the accident was caused by tread separation of the tire, as well as the lack of a nylon cap that would have aided in keeping the belt edge cool. The lawsuit was filed for $6 million in mental anguish and pain, as well as $24 million in exemplary damages. In 2012, another lawsuit involving a Dunlop tire settled. In this instance, though, the Dunlop tire involved was a motorcycle tire that deflated without warning, causing an accident that ejected both passengers and caused severe injuries. The terms of the settlement were not disclosed to the public. If injured in an accident involving a defective Dunlop tire, you may be able to recover compensation via a Dunlop tire manufacturer lawsuit. Your case must prove the tire was defective and caused the accident. It must also demonstrate the extent of your damages. An attorney can help you understand your rights and can provide you with more information about how to pursue a product liability case. At Chalik & Chalik, we know how important your claim is to recover compensation for your damages. To set up a free case consultation, call us today at 855-529-0269.